Connaught Place Abundant with activities related to tourism, Connaught Place is an absolute essential for any tourist entering India with Delhi as a transit point. The colonial buildings which have withstood the tyranny of times stand in magnificent glory, while shopping bazaars, restaurants, Banks, and airline offices attract millions everyday. Stone’s throw from New Delhi Railway Station the whole complex is circular maze of traffic movement and was named after Duke of Connaught, a member of the British royal family. It was designed by Robert Tor Russell in collaboration with WH Nicholls. The enormity of this market once made it the largest of its kind in India. 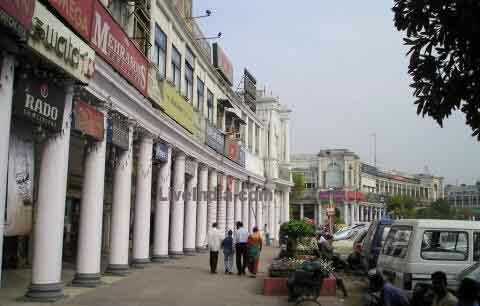 Built in 1931, this shopping center is one of the Meccas of shopping in India. Literally everything is up for grabs here. Several eating joints, restaurants, bars and specialty restaurants, have almost all the world food available within a Kilometer of radius. 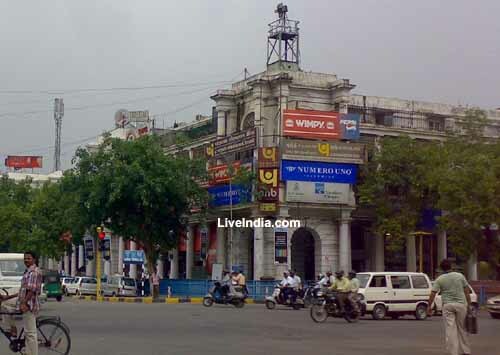 Referred to as CP in its abbreviated form, it is the most important meeting point in Delhi. Accessible and in the heart of Delhi, this every one converges from all parts of the town for one reason or another. No tourist can afford to miss this destination, even if it was for its architecture or the daily buzz. The British fancied this market in the shape of a horseshoe and believed it would prove lucky for both shoppers and shopkeepers. There has always been something about this place that it continues to be one of the India’s leading market places. Shops and stalls in Janpath can be of special interest where you are sure to find everything from essential to the trivia. Tibetan refuges sell handicrafts, oriental objects and curios while garments, accessories and fashion clothing sells like hot cakes. The state emporiums on Baba Kharak Singh Marg sell the best different States of India have got to offer. It is lined with skyscrapers and happens to be the Central Business District housing many National and International companies. Being a commercial hub of India’s capital it’s role in Indian economy can not ignored. Outlets of all the leading brands do a brisk business on the much happening Inner and Outer Circle with the like of Benetton, Allen Solly, Reebok, Nike, Levi's, Lee Cooper - to name a few. Bookshops, street side book vendors and Libraries like American and British Library provide a refuge to the book lovers. Inner Circle is never ending paradise for shopaholics who’ll go berserk when here. Almost all international brands available in India have a set up along the inner circle: Benetton, Allen Solly, Reebok, Nike, Levis, Lee Cooper - you name it. Fine dining and or just hogging, you’ll find plenty of options. 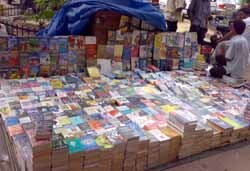 There are some excellent bookshops which you can check out for material on India. All rights reserved. Connaught Place & Around . 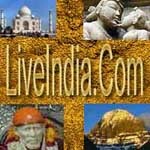 Various state-run emporia bring forth the best handicrafts and can be a pure delight for any tourist. So don’t miss it. Here are some tips about where to buy. Shawls : Zoon, the Kashmir Emporium. Bronze lamps and icon : Poompuhar, the Tamil Nadu Emporium. Exquisite silks : Cauvery, the Karnataka Emporium. Madhubani paintings and gems : Amrapali, the Bihar Emporium. Printed cottons, miniature paintings and jewellery: Rajasthali, the Rajasthan Emporium. Tea : Manjusha, the West Bengal Emporium.